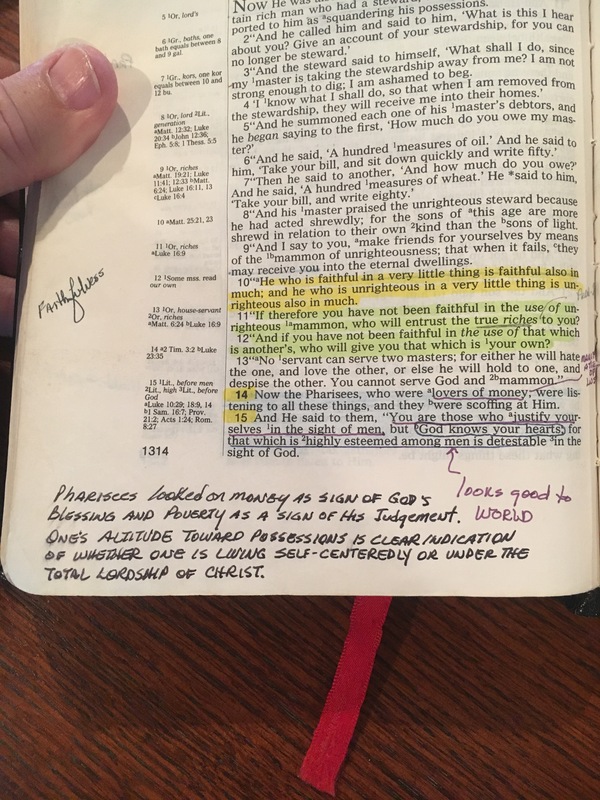 I found this note while reading Luke 16: 13-15 the other day. As born again believers, the Lord Jesus Christ is to be “Lord” of our lives. The world system, which is controlled by Satan, is continually trying to impose its value system on us. In James 4:4 the Bible tells us that friendship with the world is hostility toward God. He compares it to a wife or husband having an affair thereby being an adulteress. James goes on to say that he who wishes to be a friend of the world is an enemy of God. Sometimes we are so entangled in the affairs of the world that we do not recognize it for what it is. The kingdom of the enemy of God. May the Holy Spirit show us today if we are in an adulterous affair with some aspect of the world. In closing, I share Luke 6:46 with you. The scripture that God used to rip the deception off our minds and show us we were lost and bound for hell. The Lord Jesus said “Why do you call me Lord Lord and do not do what I say?